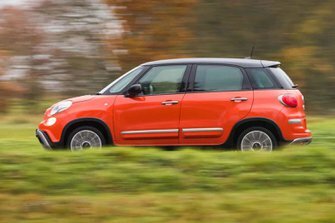 Fiat 500L Performance, Engine, Ride, Handling | What Car? If it has to be petrol, the Twinair is your best bet. It produces enough grunt at low revs to feel decently punchy in town, although it runs out of puff at around 5000rpm. Still, it’s far stronger than the entry-level naturally aspirated 1.4, which has to be pushed very hard if you want to make progress. The turbocharged 1.4 petrol is the strongest and most relaxing to drive, but it costs more to buy and run. The diesels are a better choice. The 1.3 has just enough get up and go to feel capable on fast country roads and company car drivers will love its low CO2 emissions. The 1.6 diesels, however, are better suited to lugging a family and luggage thanks to the decent amount of low-end torque available,. However, they still don't feel outright quick. A six-speed manual gearbox comes as standard, but there’s a five-speed automatic available with the 1.3 diesel. We’d avoid it if possible, because it's pretty dimwitted when rushed. That said, it does bring the lowest CO2 emissions of the 500L range. The 500L’s wheel sizes range from 15in steel wheels on the entry-level Pop Star models to 16in alloys on the Lounge models, while 17in alloys are optional. The off-road orientated 500L Cross model gets 17in alloys as standard. No matter which wheels you choose, the ride is firm. It’s over the sort of broken surfaces you’re likely to find on UK high streets that the 500L reveals this, sending small jolts through to the interior and lots of unwanted vibration up the steering column. Overall, though, the car's body stays pretty nicely composed, so it never gets too uncomfortable. At higher speeds, the 500L glides over smaller obstructions with greater compliance, although bigger ruts and expansion joints still make a thunk. 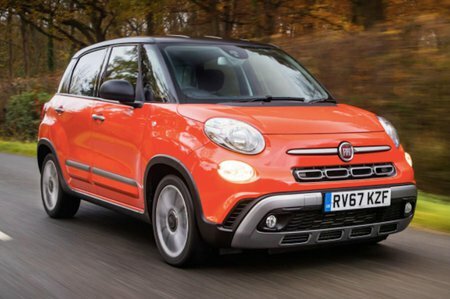 The 500L’s shape doesn’t look likely to allow it sharp handling, and indeed it doesn’t. That said, in tight bends there isn’t quite as much body lean as you might expect, with the car staying quite upright. The trouble is, the steering is quite vague when you’re traveling in a straight line and beyond that offers very little in the way of communication as to what the front wheels are doing. There’s an annoyingly aggressive self-centering action to contend with, too. However, the steering is at least pretty light, despite the 500L's size, so threading the car through town is easy. This also helps when you're trying to navigate into tight parking spaces. Refinement is one of the worst aspects of the 500L. The manual gearshift is too notchy and the suspension makes too much noise over rough roads. As the speed builds, there’s road noise, too, as well as the very noticeable sound of wind whipping around the car's tall windscreen. The entry-level 1.4 petrol engine needs to be worked hard and is boomy as a result, while the Twinair unit sends lots of vibration back through the car’s controls. The 1.4 turbo is the smoothest and quietest of the lot. All three diesel engines sound noticeably rough when cold, but become smoother as they warm up. That said, when pushed past even 3000rpm, they send lots of engine noise back through to the interior and too much vibration through the wheel and pedals.